"Come for the Boating Education�Stay for the Friends"
I have read and understand the www.BoatingIsFun.org Privacy Statement. 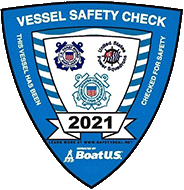 Is your vessel in shipshape condition? the Bellingham Sail and Power Squadron.